Here is useful information to help you navigate your new faith community. 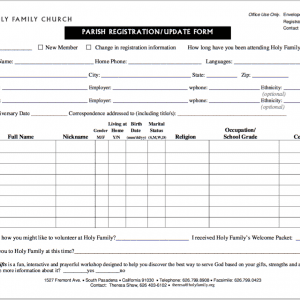 Please print and return to the parish office. Welcome to Holy Family! 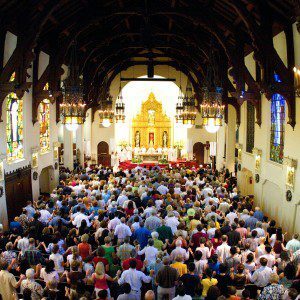 Information to help you navigate your new faith community. We extend a warm welcome to visitors at Holy Family. 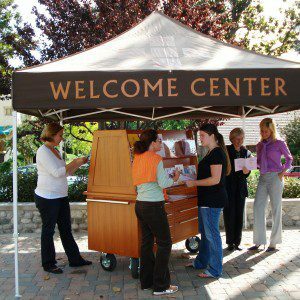 If you are new to Holy Family or are visiting for the first time, be sure to stop by the Welcome Center located outside in the Gathering Area on Sunday mornings. 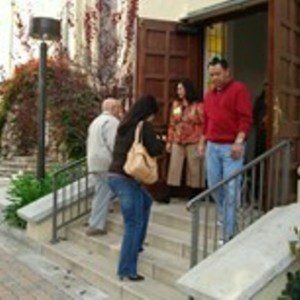 There you will find a wealth of information about parish life, ministries, organizations, and service opportunities. On most Sundays, there is Continental Breakfast in the Parish Hall. We look forward to meeting you!